In the middle of the New Kingdom, around 1350 BC, the Greeks were building their megaron palaces at Mycenae and Pylos. The Hittites were just developing the use of iron. The Jews were wandering around the Israeli hills. 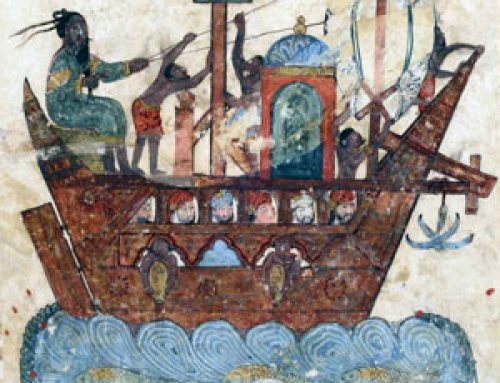 But the Egyptians had a new Pharaoh who made some dramatic political changes, and also some changes in art styles which were just as interesting. This Pharaoh’s name was Akhenaten (Ah-ken-AH-ten). Akhenaten seems to have wanted people to believe in the Aten – a single god that controlled everything. He may have been the first monotheist. It’s possible that Akhenaten got his religious ideas from people in Sudan or West Africa. We call the kind of art that Akhenaten liked the Amarna style, because Amarna was the name of the new city that Akhenaten made people build for him. A lot of those people seem to have been children and teenagers, and a lot of them died of overwork. They may have been enslaved. So when we look at the great sculptures and buildings from Amarna, we should remember the suffering that went into them. We have a lot of art left from the Amarna period. 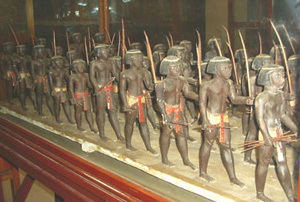 Amarna art shows people in very dramatic and exaggerated ways. Some people have thought that Akhenaten himself must have looked very ugly, because the statues of him look so weird. 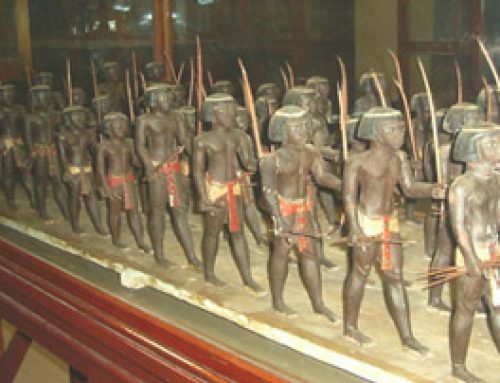 But probably it was just a fashion in carving statues. Possibly, Akhenaten or his artists meant to create an Egyptian art style that was closer to the art of other places in Africa and less like West Asian art. 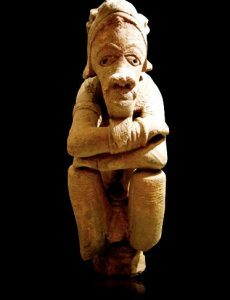 There isn’t much African art from the 1300s BC left, but some later West African art from about 900 BC is kind of like Amarna art. What did West African art look like? 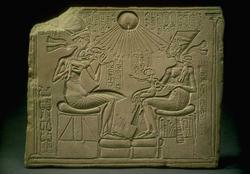 This carving shows Akhenaten and his wife Nefertiti (neh-fur-TEE-tee) and three of their little daughters. They seem to be a very loving family. Their god, the Aten, is represented as a circle in the sky shining down on the royal family. 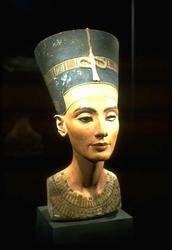 Here is another famous statue of Nefertiti. The reason she looks kind of funny is that one of her glass eyes has been knocked out. 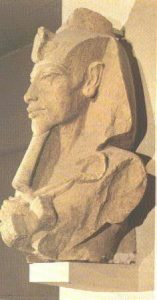 Akhenaten: Egypt’s False Prophet, by Nicholas Reeves (2001). Akhenaten: King of Egypt, by Cyril Aldred (1991). Cite this page: Carr, K.E. 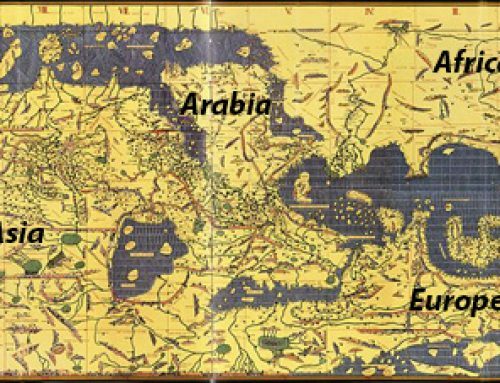 What’s the Amarna period? 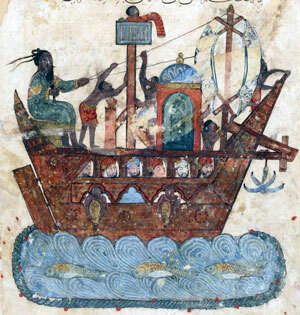 Ancient Egypt. Quatr.us Study Guides, June 13, 2017. Web. April 18, 2019.